Remember, you don't get stronger from working out. You get stronger buy recovering from a work out. My thought in general are Wow! I really enjoyed myself again. This was my ninth year at the MTMS and I always have a great time. 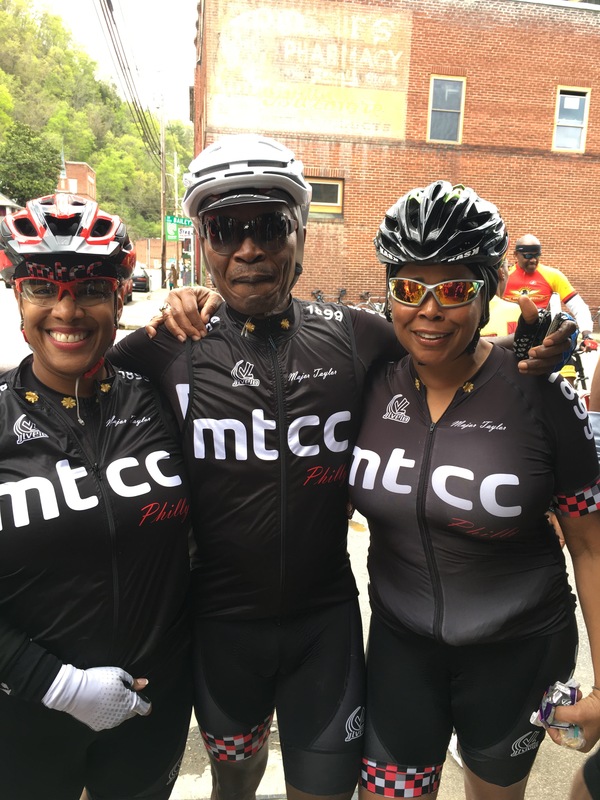 The MTMS includes cyclists from Major Taylor clubs from around the country. These year two women even came from Montana. This report is a recap of the Summit from my perspective. Thursday’s ride was 56 miles with a challenging 6 mile climb that was tougher than the 10 mile climb w e did the year before. Imagine climbing and looking up and seeing a switch back in-front of you then looking up hirer and seeing a switch-back above that. But, when you reach that high switch back you are still climbing. At some point it seemed that it would never end. And despite staying within myself, my legs were aching at the top. The 6 to 9% climb seemed to have endless switch backs that feed sorrow for those anticipating less steep grade around the corner. Even in crowds the climb was suspiciously devoid of conversation as folks suspended conversations for breath. My report is from the middle of the pack on the climb. Dan Yeich was the only Philly’s climber to show up for the Thursday KOM. 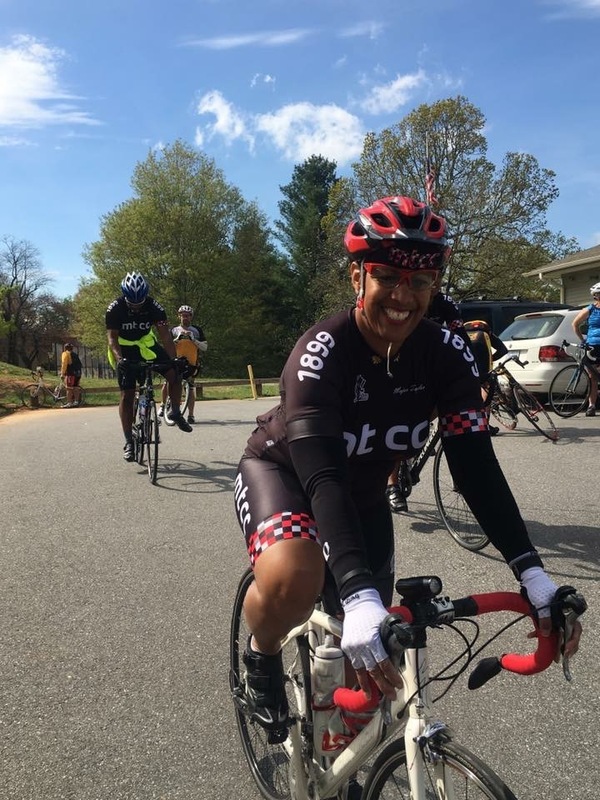 Correction the only Philly climber who could represent at the KOM. Bruce and Erven showed up after the ride. 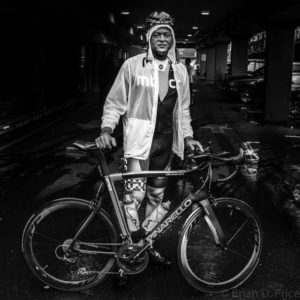 Dan represented Philly well with the strong riders. So the KOM, I heard… (You don’t expect me to tell you anything what happened in the front of the climb first hand I was solidly representing Philly in the middle)… Ahem, I heard, that some riders caught Greg (the Great) from Atlanta off guard on the one mile lead into the start of the climb, which was a climb too. Greg was expecting a start at the official base of the climb but was surprised when they kept rolling (gotta read the fine print). Greg managed to pull most back and take second in the KOM competition. This was the first time I remember Greg not taking first on the KOM and this is my 9th year at the summit. We learned about Prince on the road back. I had about 19 miles to finish and me Dan and Jeff Thomson shared our remembrances. Until Dan got tired of slow rolling. At that time I was lucky to get even 10 mph on any incline. That evening we met at happy hours at one of Asheville’s many, many, many brew houses. Reggie and I were awarded with a 5-year MTMS head set cap. Very Cool. I guess they don’t have a 9-year cap. It rained mostly Friday in the morning and late afternoon so the MTMS organizers announce on the website that riders should make their own rides since trying to coordinate a ride with 100 + riders to avoid rain in the mountains would be folly. Erven and Bruce came down Thursday night missing the big ride so they were itching to go despite the rain. Vernon took them up the Parkway. I was thankful for the recovery rest day. Hung out in Asheville eating some good food. Well… too much good food… and drink. Also checked out some nice bike shops. If you go to Asheville you have to check out the bike shops. Two shops in particular stand out. Hearn’s has been in business since 1886. If you are anyway in the market for an alternative bike but you are not ready buy the newest. 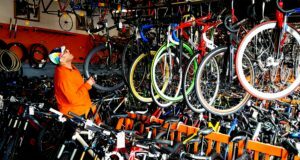 Hearn’s has the best selection of used bikes rebuilt to high standards and with great deals. The owner is knowledgeable and will work with you. Our own Claire forgot her bike shoes and was able to get a great deal for a loaner pair on hand shake. I was so tempted to buy this nice single speed Hearn’s had for $499. A guy from Pittsburgh ended up getting if for $400. 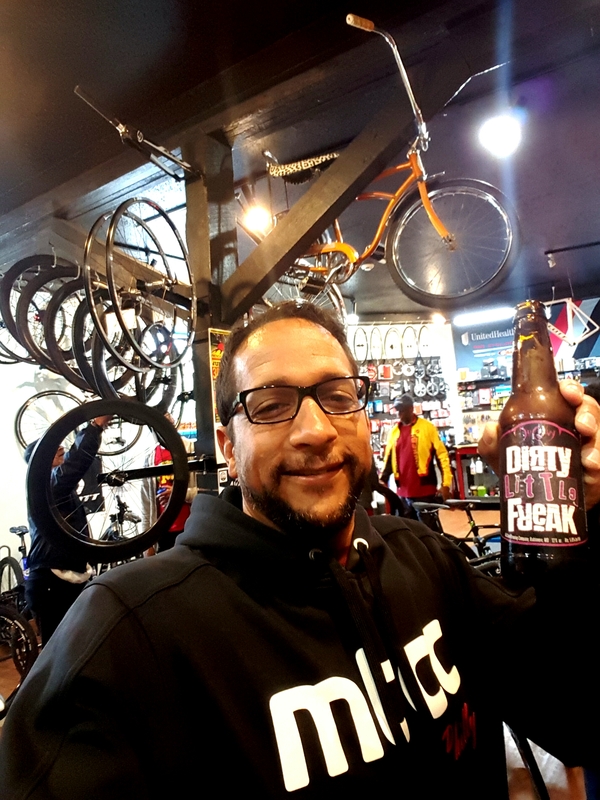 Beer and Bikes is bar that is a bike shop or a bike shop that is a bar. Whatever it is it carries high-end beers and bikes. Check out the Dirty Little Freak in my hand. I picked her up for the thrill but she was nasty (to my taste in beer) and I had to leave her. Claire traded me for a Pauli Girl. SRAM presented its newest products for MTMS attendees At this event. “Bill I can’t come down here and not do Mt. Mitchell” Erven repeated “but I want to do the MTMS ride too”. “Hmmm, do he know what he is asking for?” I thought. I am a glutton for long punishing rides and if Erven and Bruce are down I’m down. 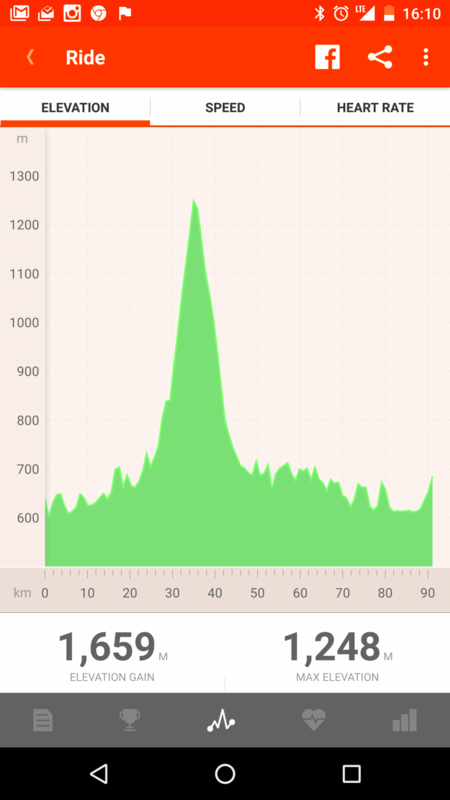 So Friday night I mapped a ride that would include the first 40 miles of the MTMS ride and add an additional 75 miles that includes the 30 mile climb to the top of Mt. Mitchell. Told Erven and Bruce about it in the morning. Erven’s response “Cool!” Ambitious ain’t we. I told them “Look if we are going to do this I am not beating up my legs chasing you and you have to be with me when we make the turn of the planned route”. “Yeah, yeah” Erven assured me. When we regrouped at the rest stop I repeated “We need to be together at the turn-off. The Mt. Mitchell excursion is another 90 miles from this point”. “Yeah” Erven repeated (with a little less enthusiasm, I noted). I rushed to fill my water bottles and the lead group left before I could get finish and Erven stayed to pace me… kind of. About 5 minutes in Erven was gone! Next time I saw him was at the bar at the end of the MTMS planned ride. Saturday’s ride was beautiful. I took the A option. It began with a series of climbs. It was one of those rides where you could randomly take a photo and put it on your wall, so beautiful, which took a lot of the sting off the legs. The rest stop was in a quaint town at a bakery. The ride back was mostly flat. The ride ended at an outdoor bar. Where we met up and shared some food and drink. That evening the Philly MT’s met shared a Japanese meal in Asheville sharing our stories. Before that we were in a bar the MTMS reserved for a diversity round-table and drinks. Philly was asked to participate as a co-host at next year’s MTMS in West Virginia. I told the organizers we would get back to them but we have members who are interested in volunteering to help. 1Philly in the house! Kicking myself for not arranging a team picture. It is tradition after the big ride events for folks to write a ride report for the folks back home. It tends to be a short summery of the ride and the post ride S talk. 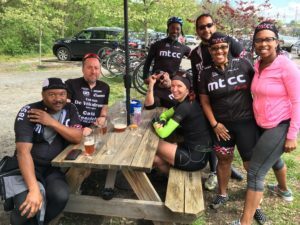 If you haven’t ridden a MTCC Summit, you need to. Major Taylor Groups around the country come to challenge themselves in this 4-day spring training and enjoy the comradery. This year’s Summit had over 100 riders from as far as Los Angeles. Once you climb these mountains in the early spring, the hills at home seem like nothing. In fact, once you get that Summit strength in your legs you may find yourself seeking climbs. Ashville NC is a cycling mecca where pro cyclist train in the spring. 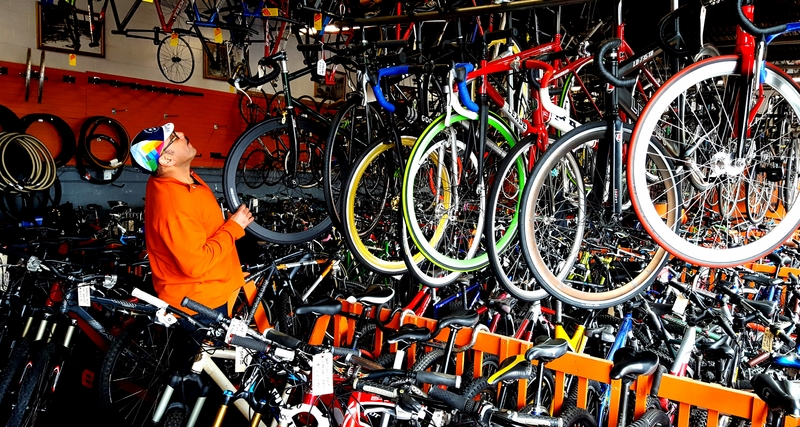 This small town supports over half a dozen high end bike shops. The town is an artist haven with musicians on every corner that is packed with good bars and restaurants. The town is so small, that you can easily walk anywhere you need to go, even after a hard ride. The Summit typically features an A and B ride every day to accommodate riders at all levels. I picked the A ride on Thursday and Friday thinking the Saturday ride would be rained out. It wasn’t, but by that time my legs were shot. My normal plan is to do the B ride on Friday to recover. However, I enjoyed a nice day hanging around the town and eating a late lunch with the remaining Philly crew (Butch, Jeff, Nadia, Yvette, Paris, Ramon and Reggie). Vernon, Charles and Kenneth rolled out that morning. Thursday day was chilly at the start but warmed up on the climbs (well at least the way up). 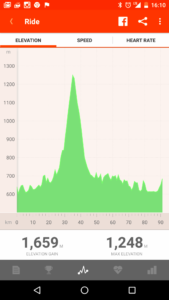 The first climb was a 5+ mile, 8-10% KOM challenge. I was too busy breathing and sucking Kenneth’s wheel to challenge the winner (well for a minute until Kenneth went beep-beep and was gone, who was that masked man). We regrouped on the top of the climb. BTW, this was not the only time Kenneth paced me up this weekend. Thanks brother. On the way to the next climb Ramon’s chain broke. We can take a pool on what breaks next on Ramon’s bike. Need to invest in some tools. Anyway, I was able to fix the chain but the pack was gone by that time. Now it’s just me Ramon and Reggie from Philly, Dave from Atlanta and Jeff Smiley from Tennessee who both graciously waited for us. Which was good because none of the Philly boys grabbed a ride map and the roads were not marked. We start the next climb, which was 11 miles long. However, Ramon was felling frisky jumping ahead. Two miles later Ramone asks “how much more climbing”. Evidently, My Man did not hear the announcement of an 11-mile climb. Needless to say, Ramon slowed his roll to a reasonable pace. OK I have to take a moment to discuss the incredible beauty or the mountains and the superior road conditions. The vistas were unforgettable. Just insane beauty. The roads were like they were just paved, glassy smooth. You can see pictures on the Philly and other MTCC groups on Facebook but none to the beauty of the mountains justice. It was the kind of view that makes you forget about the pain in your legs. When we finally reached the top (correction… the turnaround point. The summit was at the top of Mount Mitchell another 15 miles of climbing); ahem when we reached the turnaround point: got water, hit the can, took some picture and started hammering downhill. Toooooo Fun! Weeeeee! But hold up! Who is on my wheel at speed? Is it a bird, a plane… My Man Reg was on it! Even leading at points… accelerating in the turns… For those of you who don’t know Reggie, he is not typically known for his down-hilling. But that day… NEW MAN. I think it was the kit. Got Reg all ninja! But, it got too good to us and we missed our turn. We picked up Barbara from DC (who also missed the turn) and carved out an alternative route. With google bike maps in your pocket… you’re never lost. Added 5 miles but it was a nice day and while the ride had more traffic it was no challenge for three experienced city riders. Oh, and even those roads were glassy smooth. 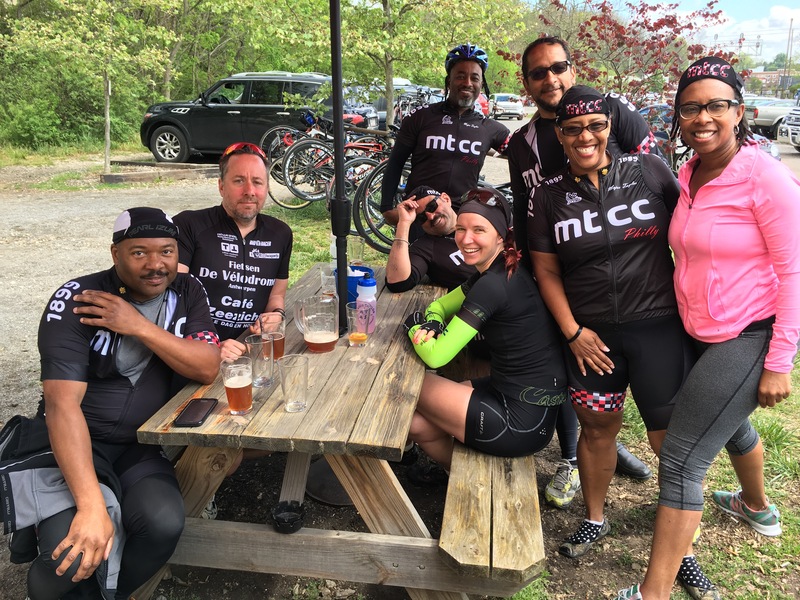 After the ride, the Atlanta Club (MAAC) sponsored a happy hour and I enjoyed sharing war stories with my fellow Philly riders over beer and pizza. The other clubs really liked our jersey and many folks were interested in getting one. 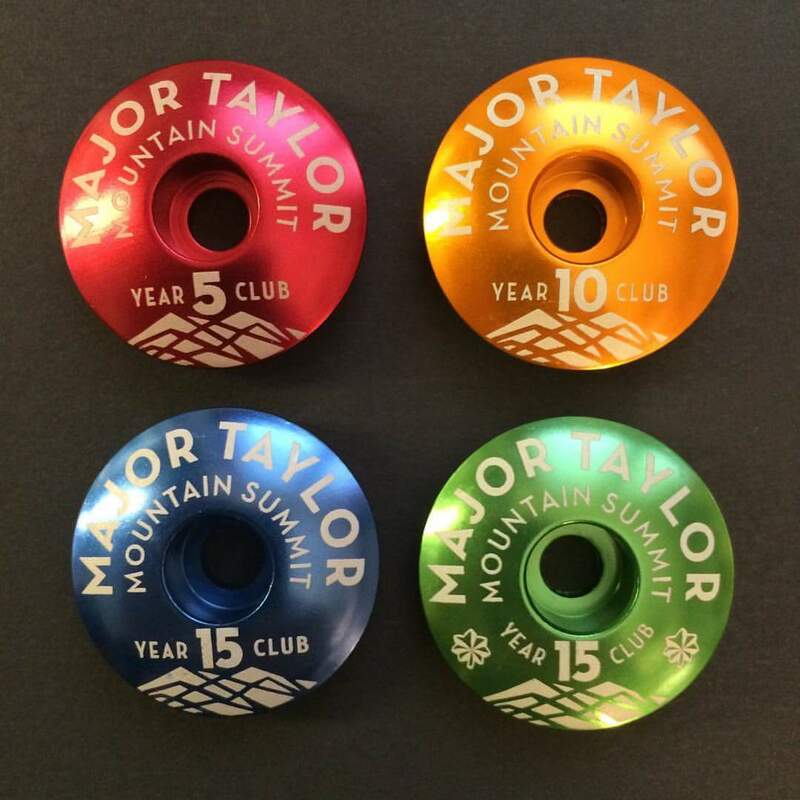 Although Philly has been coming to the Summit for nearly 10 years, folks recognized us as our own club. Some of the old timers said the kit makes Philly “Official”. 6 What am I looking at? Now we have to find other riders that can help us represent the City of Brotherly Love and the Spirit of Major Taylor. While the Summit represents the number one MTCC event, the Seagull Century in October is the second most important event. Paris who I think lives in Delaware but may be from North Carolina (damn, should have asked before that beer). Anyway we are claiming her as one of ours. How we got lost driving to our cabin… twice, on the same night. Yvette, always good seeing you, Charles, looking good brother. Vern, we gotta hang more. Butch thanks for saving the day, Superman, Nadia and Jeff really enjoyed finally hanging with you guys, you are a fun couple. Paris wish we talked more but I’m sure there will be other opportunities.